Sports teams from the Napier Intermediate School visited the city for three days last month to contest the J.T. 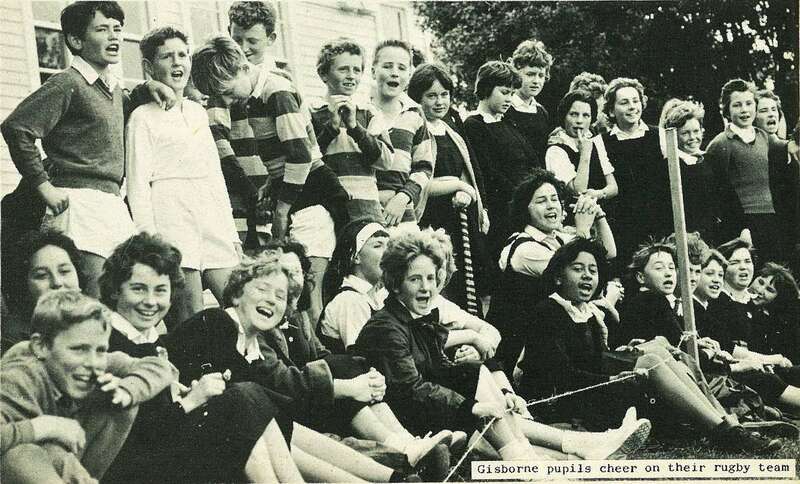 Hill Shield in the annual sports tourney with the Gisborne Intermediate School. 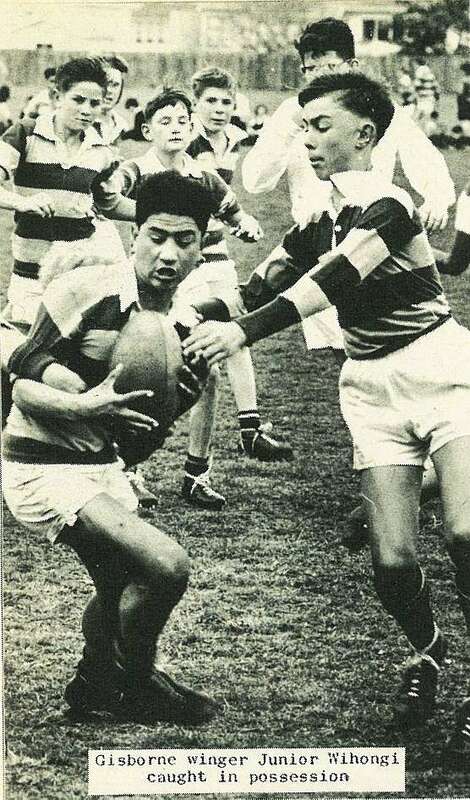 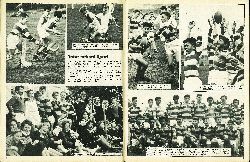 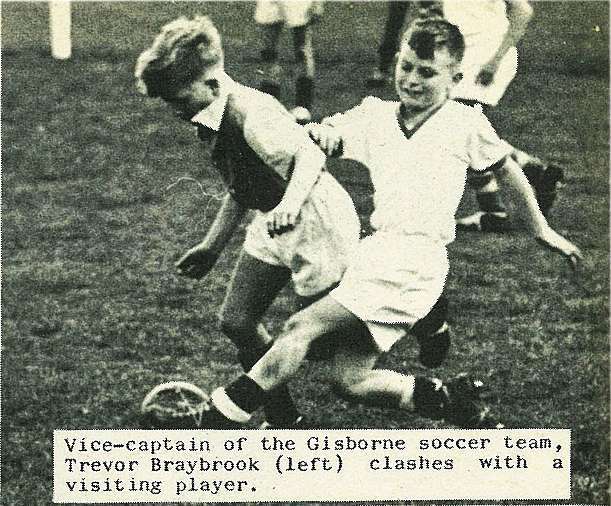 Playing on their own grounds, the Gisborne teams won four of the seven games, one of which was drawn. 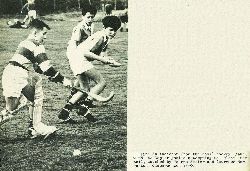 An incident from the boys' hockey game, with the Napier goalie attempting to clear the ball, watched by Joseph Smiler and Laurence Normonton. 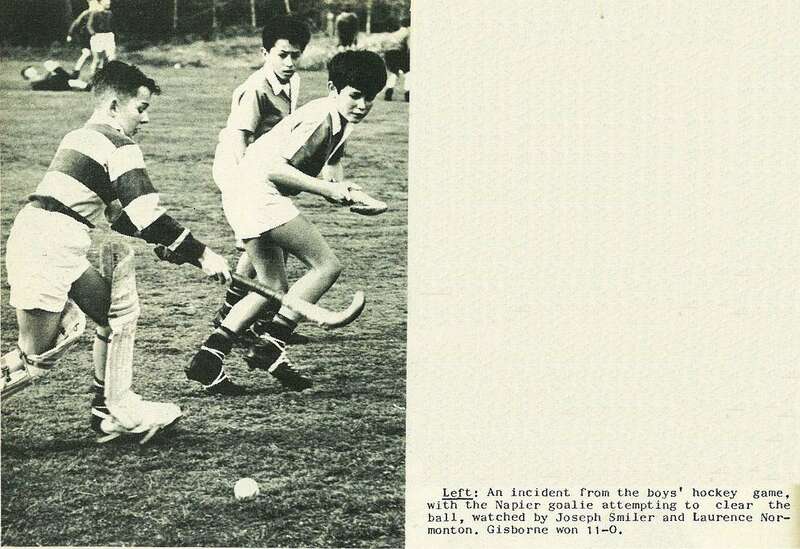 Gisborne won 11-0. 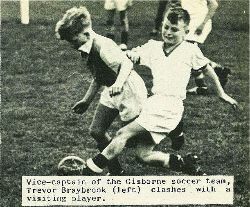 Vice-captain of the Gisborne soccer team, Trevor Braybrook (left) clashes with a visiting player. 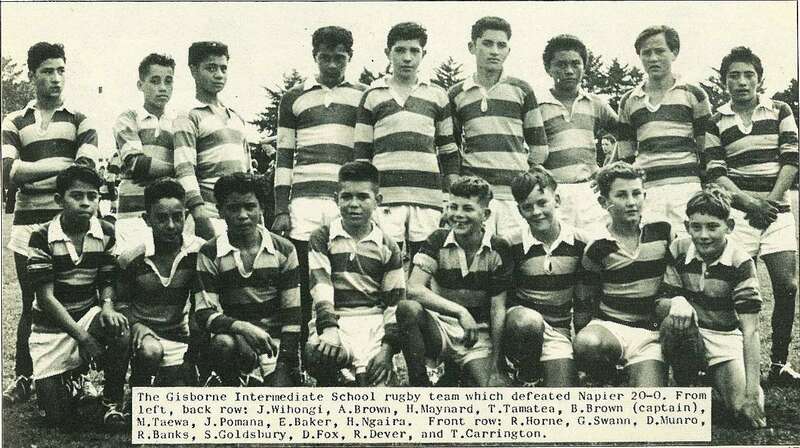 The Gisborne Intermediate School rugby team which defeated Napier 20-0. From Left, back row: J. Wihongi, A. 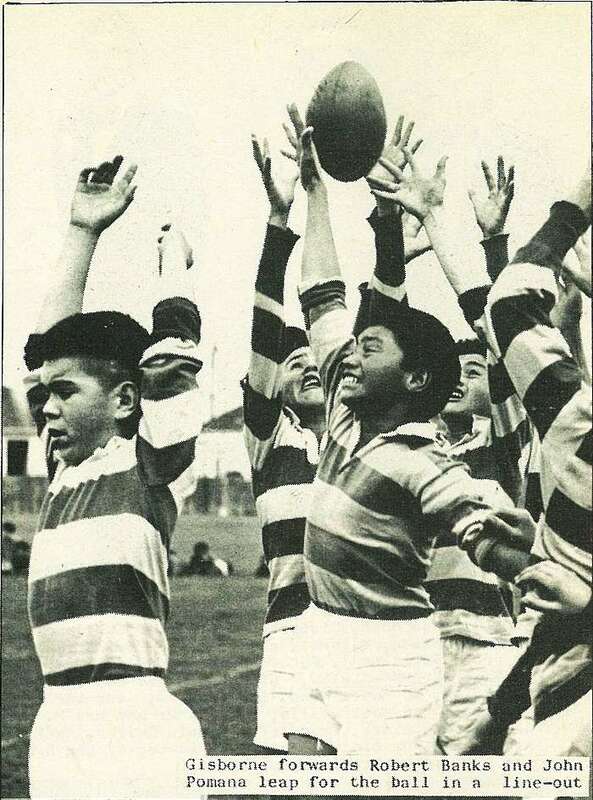 Brown, H. Maynard, T. Tamatea, B. 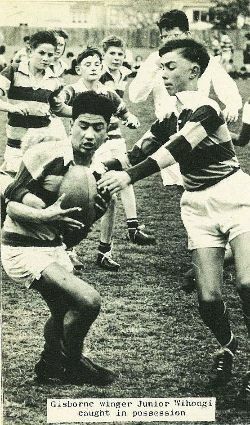 Brown (captain), M. Taewa, J. Pomana, E. Baker, H. Ngaira. Front row: R. Horne, G. Swann, D. Munro, R. Banks, S. Goldsbury, D. Fox, R. Dever, and T. Carrington.